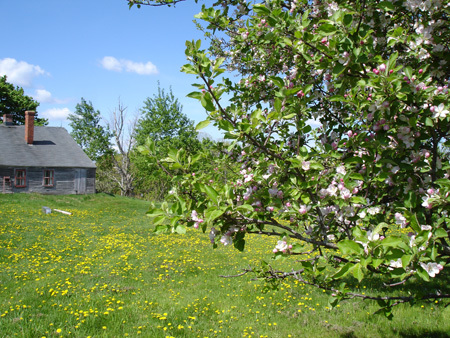 In the spring of 2007 and 2008, we planted about 350 semi-dwarf fruit trees to start our orchard. Most are apple, but we also have smaller numbers of pear, Asian pear, and tart cherry trees. Because we will be managing our orchard using organic methods, we resolved to get off on the right foot by selecting disease resistant varieties grafted onto a modern disease resistant rootstock. The varieties we have chosen include a mixture of antique favorites and newer varieties bred since the 1960's. You will find that many of the apples we grow will offer an exceptional eating experience, while others will make excellent pies, sauce, or cider. See the list below for some of what we will soon offer.